Set on Oranjestad, Aruba, CORAL SHELL introduces a whole new concept in luxury and very exclusive private residence in the Caribbean. ​Its prime sea-front position affords a truly spectacular view from each of its exquisite contemporary apartments. Residents will enjoy a breathtaking view of Paardenbaai (Horse Bay) with its unique aquamarine color, or the option of overlooking Boy Ecury Park with its artfully landscaped lawns and public gardens, as well as the beautiful view of inland Aruba. ​Just a few steps to the beach, to Boy Ecury Park, to the attractive Linear Park along the coastline for strolling and exercising and to the Renaissance Shopping Mall, with restaurants, movie theaters, exclusive shops and much more. 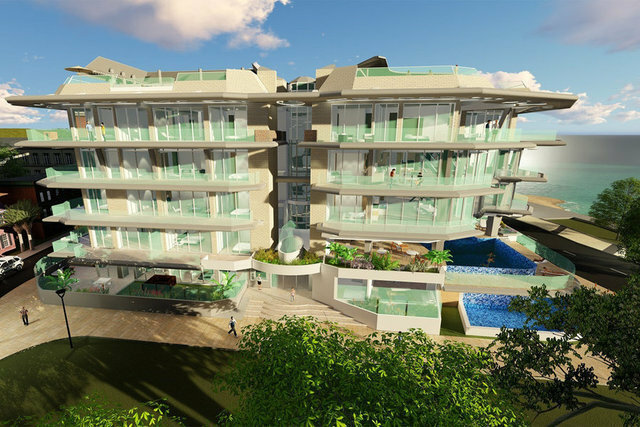 Coral Shell Condominium is a celebration of open air, sea and sky, with water views from almost every window. It takes its inspiration from the very life style it creates. ​Apartments range from: one, two, three, four and five bedrooms. Modern, custom-designed closets and bathrooms.